Not since 1991 has the Architectural Foundation of San Francisco hosted a party for the Design, Engineering, and Construction industries. We think that it is time to gather again and celebrate the accomplishments of those who plan, design, and construct our built environment. 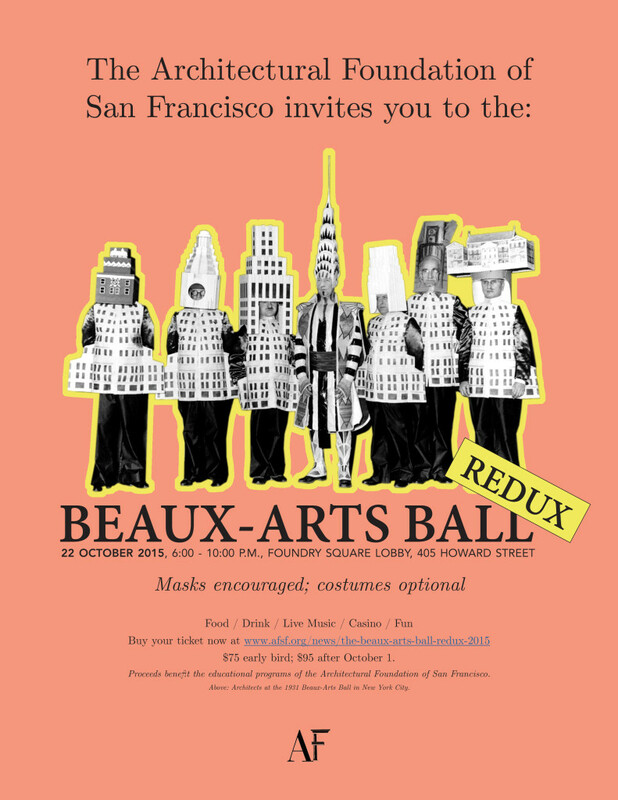 Plans are currently underway for the AFSF’s Beaux Arts Ball Redux – to be held on Thursday evening, October 22, 2015, in the lobby of Foundry Square at 405 Howard Street, San Francisco. We are inviting a few prominent members of the design and construction community to become supporters of this event. This event supports BuildSF, the mentorship and educational program that matches outstanding students, teachers and principals with architects, engineers, contractors, and community organizations, to further architectural education projects in the San Francisco Bay area. The Architectural Foundation of San Francisco’s Sixteenth Annual Awards Breakfast will be held on Thursday, May 7, 2015. To purchase tickets please contact Alan Sandler, 415-393-1493. 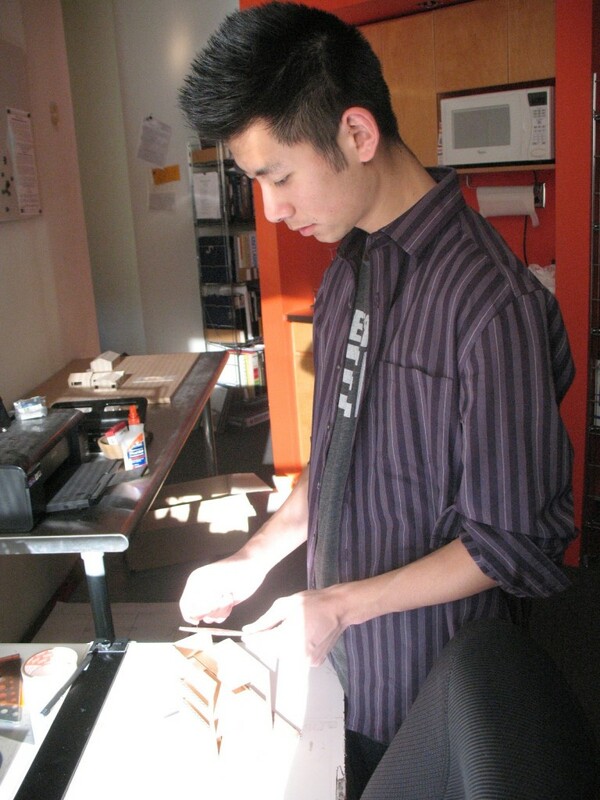 Once again The Architectural Foundation of San Francisco will hold its Summer Design Institute for High School students. Information and application forms are located on our Summer Design Institute Web Page. Announcing the 46th Annual High School Design Competition. This year’s competition will celebrate the upcoming Super Bowl 50 to be held next year at Levi’s Stadium, home of the San Francisco 49ers. You can find the program description and full competition packet on our High School Design Competition web page. 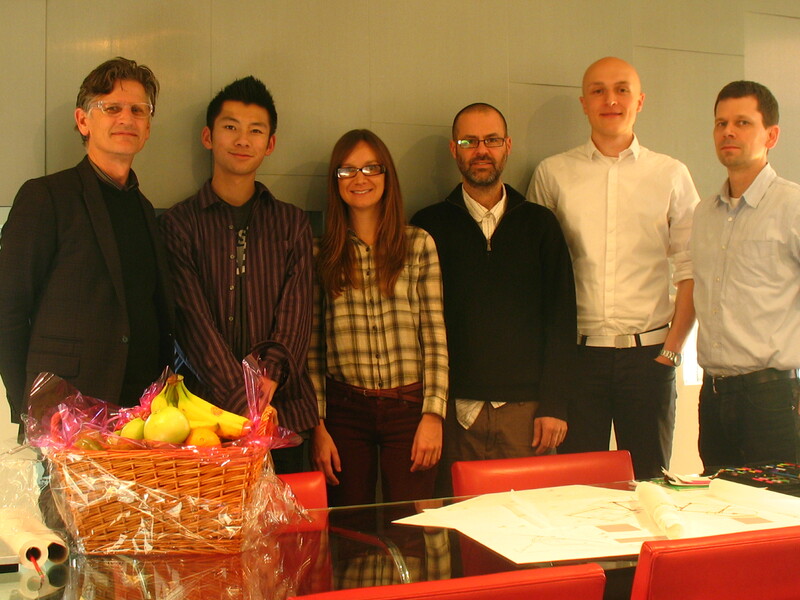 LMS Architects wins the 2014 Kirby Ward Fitzpatrick Prize. The Architectural Foundation of San Francisco presents the Kirby Ward Fitzpatrick Prize every year to a small San Francisco architectural firm honoring design excellence. 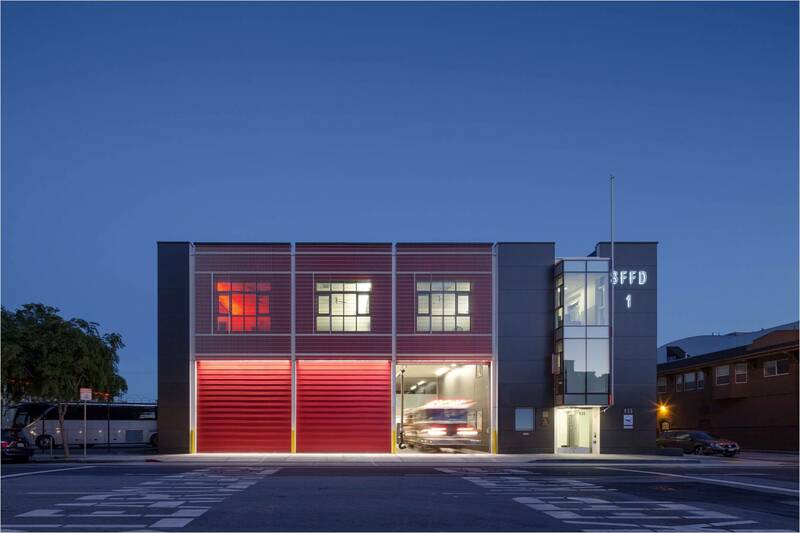 This year the prize has been awarded to LMS Architects for their work on the new Firehouse Number 1. The clients for the new Firehouse are SFMOMA, SFFD & SFDPW. If you are a high school Junior or Senior in San Francisco you should definitely check out Build San Francisco. Earn fifteen units of U.C. approved credit in Architectural Design and Environmental Science, plus an internship in a major San Francisco firm. See your counselor for details on how to enroll. The Architectural Foundation of San Francisco presents the Kirby Ward Fitzpatrick Prize every year to a small San Francisco architectural firm honoring design excellence. This year the prize has been awarded to Karin Payson for her work on the new Bayview Public Library. (Mark English, AIA): How does it feel being recognized for this award? As you know, Kirby Ward was a small practitioner who set up a foundation to recognize an important building in SF every year, completed by a small firm. 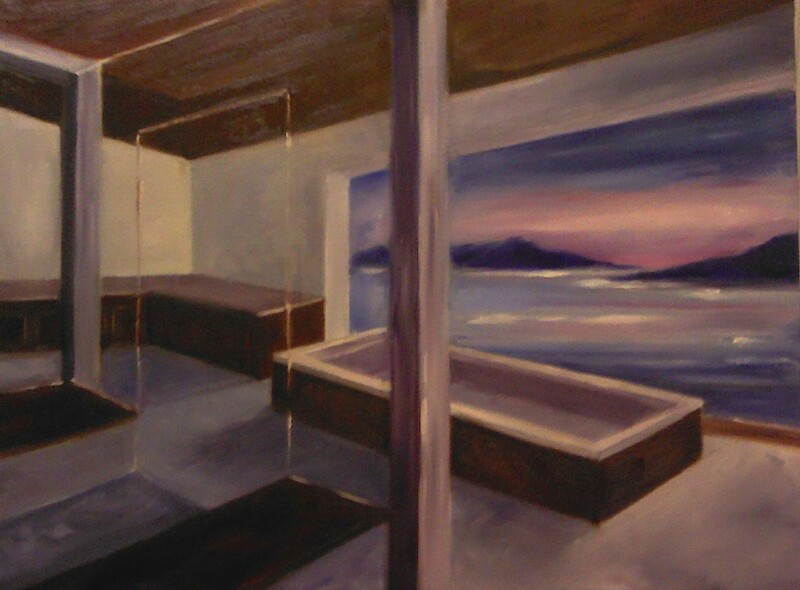 You are in the company of Jim Jennings, Stanley Saitowitz, Anne Fougeron and Douglas Burnham- great company! (Karin Payson) Of course I am honored by it and humbled, too. As you know we were not the lead architect; nonetheless we had a distinct impact on the design and execution of the building and its interior. As a small-firm practitioner without a history of City projects I would never have been awarded any of these library projects on my own, so many years ago I approached THA and asked them to team with me and it was a successful collaboration on the Bayview Library and the two library projects that preceded it. It is wonderful to have our contribution recognized. What I really appreciate about this award in particular is that Kirby Ward himself received similar recognition for a project he did as the associate architect with Dan Solomon. Do you know about the AFSF mission, and have you ever mentored a young person? Before the awards breakfast I had only been vaguely aware of the AFSF mission; I am deeply impressed. Mentoring is part of my job as a principal in a small firm and is something I truly enjoy; I taught at NY Tech, UC Berkeley, CCA and Academy of Art College during the first dozen years after graduate school and loved it. In addition I have been lucky to have many mentors throughout my career, even as an aspiring artist in high school, so I had plenty of role models for doing the same for the next generation. It’s very satisfying. Would you counsel a young person interested in the architectural profession to learn how to sketch? What is the place of drawing in todays computer enhanced design world? Well, Mark, you know that this is a pet subject of mine….Of course I would counsel a young aspiring architect to learn to sketch. Drawing by hand is an act of observation and interpretation. There is no substitute; it is a completely different activity than drawing on a computer, and probably uses a different part of the brain; it certainly uses the body differently. Drawing is both a tool and (for me, at least) a pleasure. In essence I think with my right hand, and the pen and the quality of the paper are a part of the process, because that kind of thinking is sensory. It unlocks the ideas and even technical solutions, shows me the path, in the first few hours spent on every design project. Then the computer becomes a place to test things out to a more rigorous scale, then back to the sketch to continue dreaming. In the last couple of years I’ve noticed that clients are really responding with great interest to hand-drawn renderings and their atmospheric quality; it’s almost as if everyone has had 25 years of computer renderings and computer-everything and now the hand-made is a novelty again. What do you think the place is for the architect in society today? As students we were led to believe that the architect is heroic—in the model of Le Corbusier for example—and that we could promote social change through architecture. Then you get out into the field and realize that as architects we actually have very little power, especially relative to our level of education, licensing requirements, and liability, but architecture itself still both reflects on and partly shapes how communities are organized, how people interact with each other and how they use (or abuse) their environs. How are we as architects agents of change for the good in society? How important is that role for you? If one is lucky enough to obtain a commission designing a public building or other public space, there is an opportunity to effect change. First and most important, you have to listen carefully to the constituents—the so-called “stakeholders”–and commit to serving their aspirations as you integrate these into a design idea, and continue to be the advocate of the building until its completion. It’s important to me—I’m still an idealist at heart. Let’s talk about your award-winning library. How did the commission for the new library come about? As I mentioned earlier, in 2002 I asked THA to team with me to pursue work under the Branch Library Improvement Bond Program, because they already had a deep portfolio of public libraries. We renovated and expanded West Portal Branch, after which the Library hired us to do the same kind of project at Parkside, then Bayview. Bayview was intended to be a renovation and expansion just like the others. 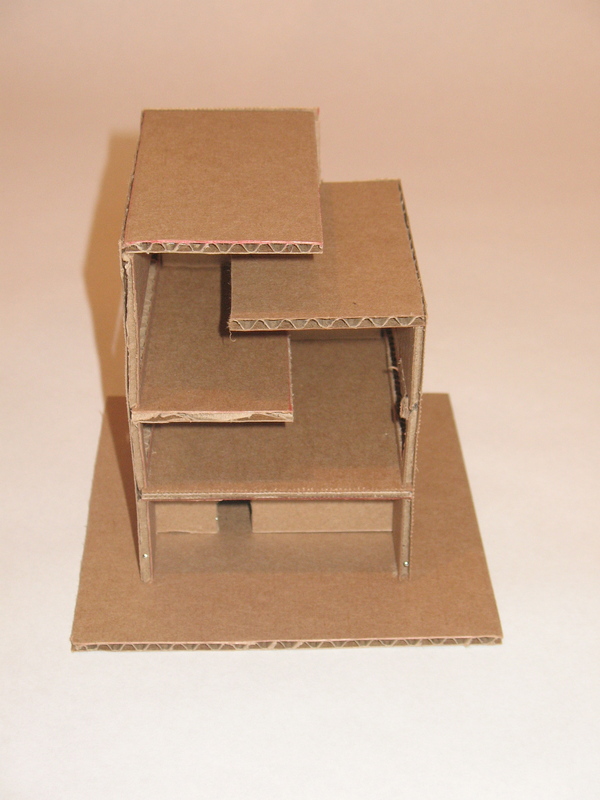 My colleague at THA, Kacey Jurgens (who is also the architect of record for the library), and I did a series of conceptual design studies to test the expansion of the existing building and it was pretty clumsy, a small awkward library on two floors. We came to the conclusion that the library needed to be all on one story, and that the City ought to purchase the site next door and demolish the existing library to build a new one. Amazingly, the Library Commission agreed. How did you work with the associated architect; what were your roles in the beginning and how did they change? Because we had already done two projects together we had an established respect between us and our roles were clear. THA was the lead architect; once the conceptual design was accepted and the City purchased the adjacent land THA really ran with it and developed the floor plan and the big ideas for the building’s expression. We were in the background on the architecture—offering commentary, participating in public meetings, collaborating on the approach to sustainability (we are expecting to achieve LEED Gold) and had our own process with the Library as we developed the palette for interior finishes and furniture. THA did the construction documents and we did some detailing of custom interior elements like the circulation desk and the furniture package. Our office did all the construction administration. Your office is small and nimble. How did you manage the project, and who helped you? Like with all our projects, I personally set the design direction for our part of the project and continued to guide it, but Maria Clara Sanchez in my office did all the research and execution, and was the one who showed up at all the weekly meetings, managed the LEED process, and made sure that stuff got done. Please give us a short narrative of the timeline for the project. Many people are amazed at how long these projects can take to wind their way through the approval process. We had some serious delays along the way. The project had a 2007 job number in our office and just opened on February 23 of this year. 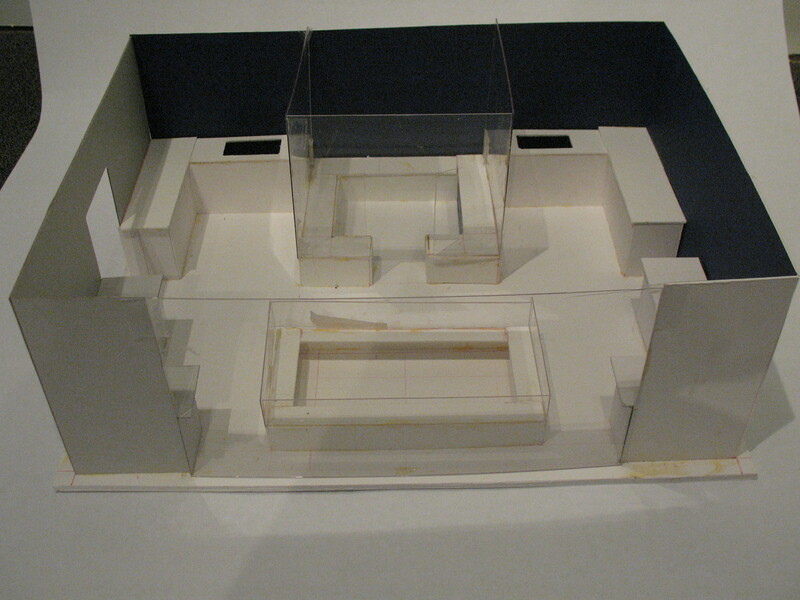 How did you decide to organize the interior of the building, and its program elements? How did you see the building’s presence on the street? What is it saying? Finally, where did the material choices come from? This is a mix. The exterior skin was chosen by THA for its emulation of textile patterns—one of the “big ideas”—they were inspired by Kente cloth. The interior materials were developed mostly according to a combination of a distinct design aesthetic that we all worked toward, an interest in low-VOC and sustainable products and what the library would permit us to do. There is a great deal of concern about maintenance, and the assumption is generally that if given a chance some members of the public will deface public property. This latter part is somewhat disheartening, but we worked hard to create spaces with dignity. Tell us how you worked with the neighborhood, and what the challenges and joys were. There were numerous community meetings. This building reflects their wishes. The best part is being there when the building is open and seeing the enthusiasm. Are you happy with the building? Is the neighborhood happy with the building and how it works? 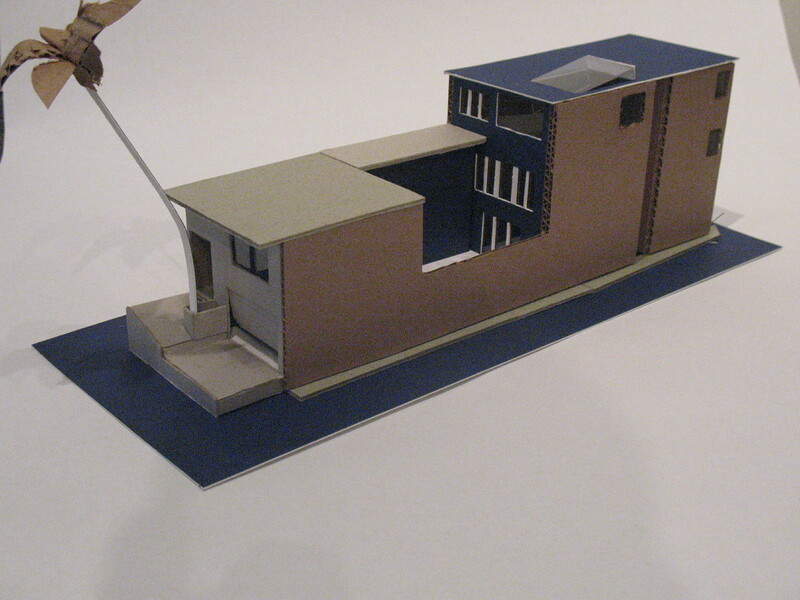 How is your sense of satisfaction with a public building different from a private residential client, if at all? It’s completely different. Working on a public building is a form of engagement in the social contract and has it’s own peculiar rewards. There is much greater opportunity in residential work for customization and I have been fortunate to have had many projects in which we’ve gotten to design (and see built) beautiful STUFF as well as spaces. In the few public projects that we’ve done, more because of the bidding process than the cost, we have NOT been able to work out ideas and details in advance with fabricators as we do with private projects. But the public projects are satisfying much the way teaching is—you are sharing in a big way—in this case making something that will be shared by everyone and anyone that wants to participate, and that act is what grounds you in a community. Your firm is one of a very few woman-owned sole proprietorships in San Francisco, and the profession in general. I can only think of a handful. What has that experience been like, and do you see yourself as a model for other women in architecture? It’s amazing that there are still so few of us. Although it has been natural for me to pursue this work as an architect and this life as a self-directed individual, that doesn’t mean it’s been easy. Women in our field can succeed more readily than in previous generations, but continue to face subtle messages—both from without and within—that work to defeat them. And many people, both men and women, reject the notion that such attitudes persist. I would hope that I can be a model for others–especially women—if for no other reason than having kept my focus and continued to grow artistically, professionally and personally. Thank you Karin, and congratulations once more. Make the Connection is an annual mixer that brings together professionals from the architectural, construction, engineering, facility management, green building, interior design and marketing communities in Northern California for an evening of conversation and cocktails. Presented by AIA, IIDA, IFMA, SMPS, and USGBC. Now in its fifth year, Make the Connection has chosen the Architectural Foundation of San Francisco as its beneficiary for the July 2013 event. MTC is produced with funds from event sponsors, ticket sales, and volunteers. With additional in-kind donations, MTC is able to raise additional charitable funds through raffle ticket sales. 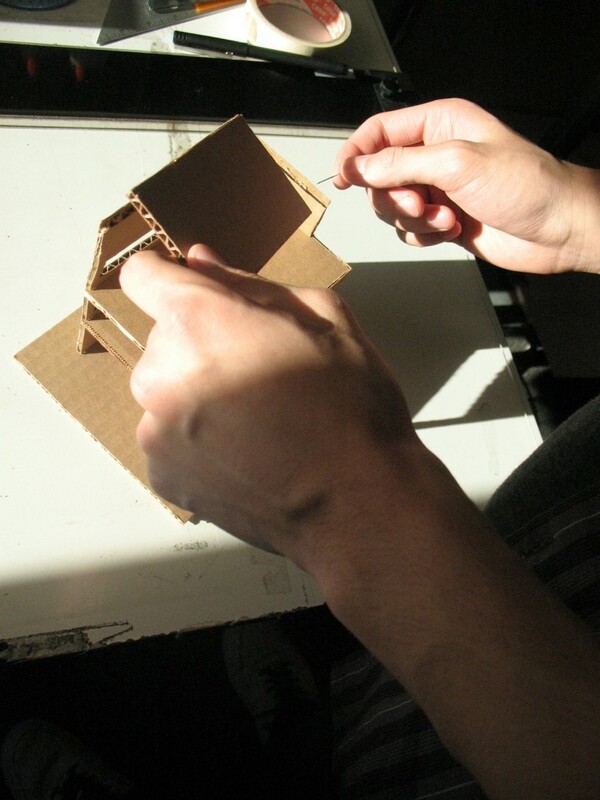 The Architectural Foundation of San Francisco (AFSF) seeks systemic change in K-12 public education by invoking the creative power of the design process to engender a culture of curiosity and personal initiative in our students.